Dinr L8R PLZ XOXO ;) – Is it Appropriate to Send Personal Texts at Work? With Valentine’s Day looming, many young lawyers and law students may feel panic motivating them to start upping their text game to lock down that compulsory romantic February 14th date (or going radio silent to avoid the impending awkward allusions to dinner plans). I can only assume this exchange will be conducted via text, because I don’t think cell phones have the capability to actually make calls anymore. I can’t comment on whether you are texting someone too much, if you had to Google that, you definitely are, but when should you text your truelove target? Is it appropriate to send those sweet electronic love notes while you are at work? Although many of us are guilty of sending a few personal texts or emails at work, we may not realize that distractions such as texting and other forms of social media cost employers an estimated $10 million per year in decreased productivity. 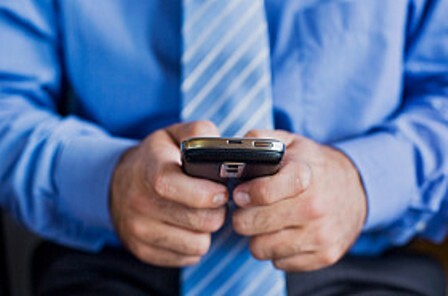 Texting at the office may have more personal consequences as well. While work-related texting is gaining acceptance, the partners or other supervisors may view frequent personal texting as unprofessional and unproductive, two adjectives you don’t want used in that yearly evaluation. Meetings: This is pretty obvious, but warrants reiteration. Don’t send personal texts while you are in a meeting or in court. Srsly. Common spaces: Texting in your work common spaces may seem fine because you are not strictly on the job while you are heating that Hot Pocket in the microwave, but it can erode your professional image. Frequently texting in the hallway, kitchen, elevator etc. may give off the impression that you would rather be anywhere else than performing due diligence or drafting that response brief. At your desk: Sneaking in a few quick texts at your desk is probably fine, as long as you are discreet. However, if you are hunched over your phone every time the managing partner walks by, you aren’t exactly exuding the appearance of a diligent and focused associate. Texting at your desk may also create a barrier between you and your fellow co-workers because you may appear perpetually distracted and unable to answer any questions or help with projects. New lawyers and law students may feel like they spend all of their time at work, and it is easier than ever to check out from work by texting and using other forms of social media on your phone. But, if you want to keep your job, it is best to proceed with caution. It may be wise to send that sultry SMS after hours to CYA.